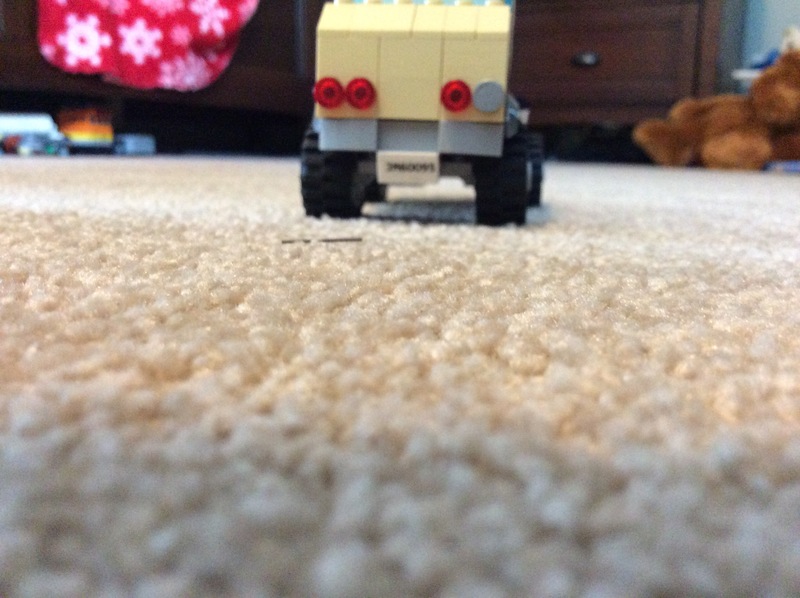 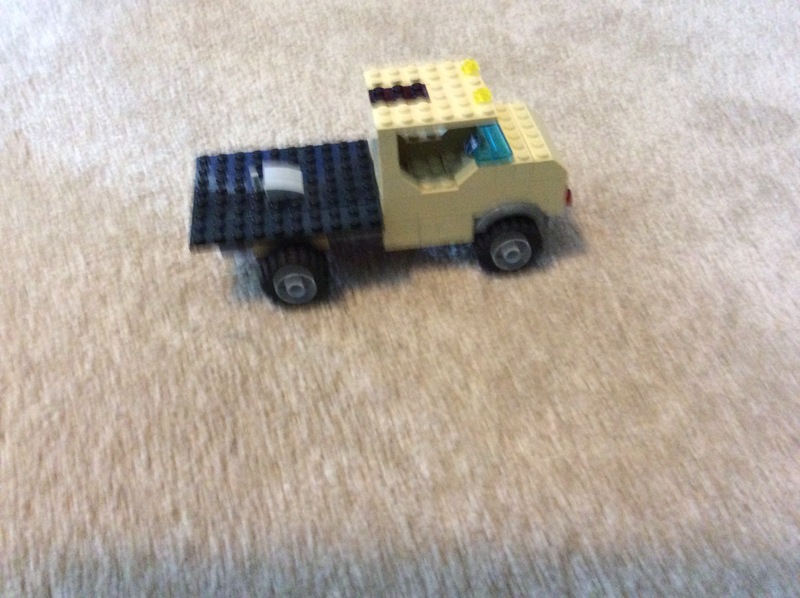 I really like this build because it’s really detailed.This has two sections to it the Ford : F-150 and a camper trailer.The truck has a dually stile build and has twin exhaust pipes and a busted headlight.The trailer has a full interior (a couch ,a big screen tv, a bed , and a coffee maker. 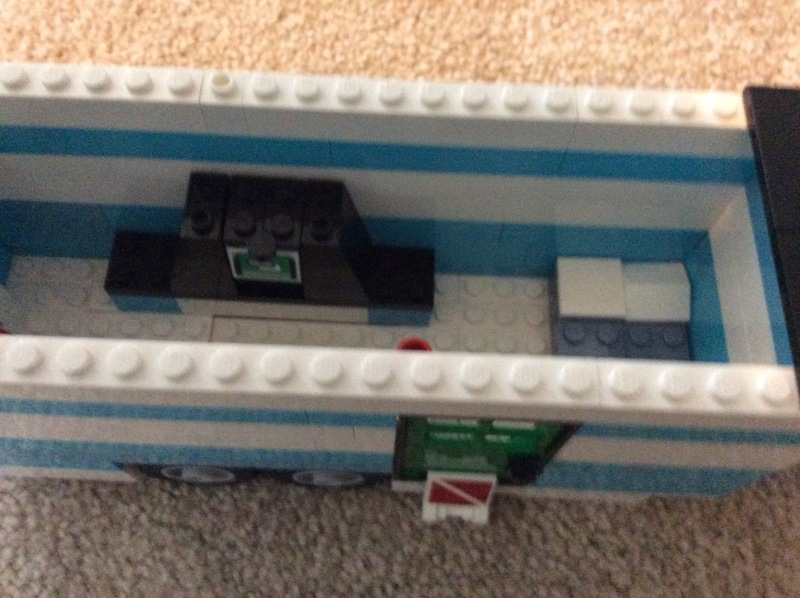 It has a step so mini figures can get inside and a green door. 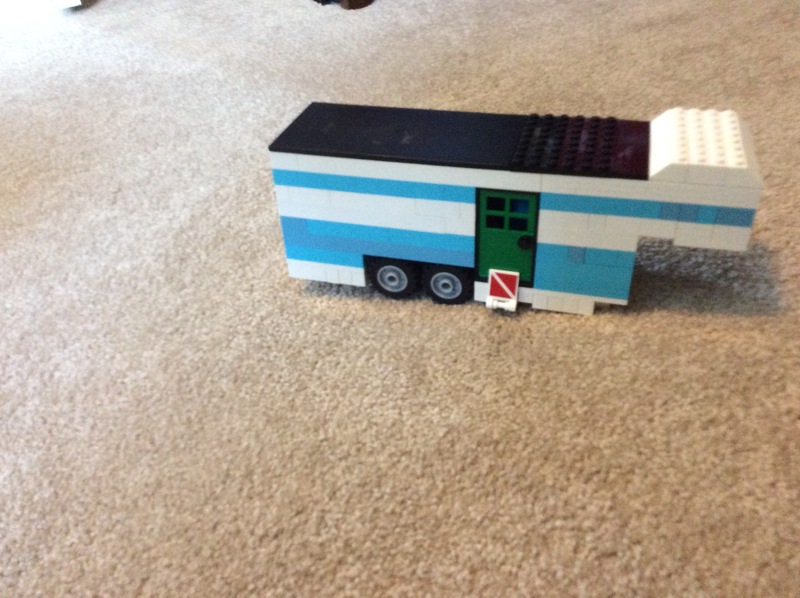 The colors are maersk blue and white and it uses wheels three Lego bricks tall. 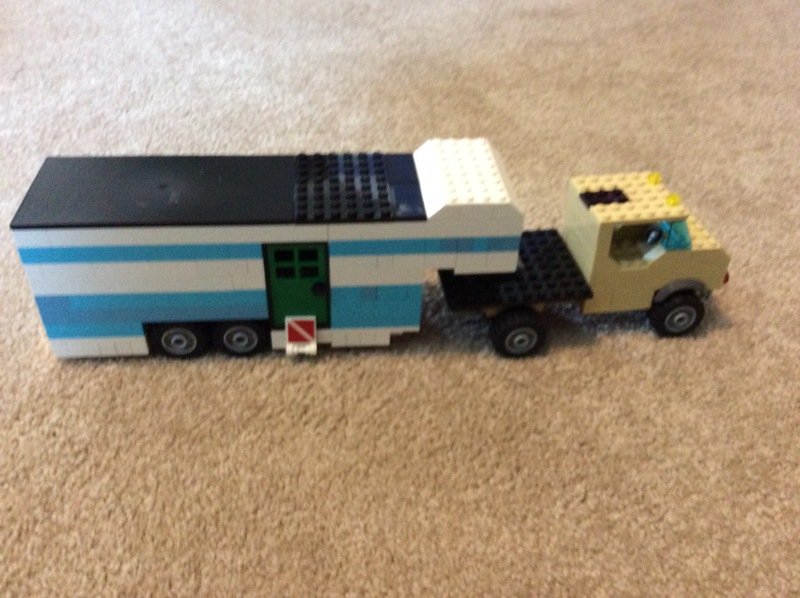 The trailer uses a gooseneck connection to the truck.